The always affable and amusing Robert Steel visited Reserve Wines in Didsbury recently with an interesting and enjoyable assortment of Italian wines from his portfolio. For The Love Of Wine was founded by his father, Ian, after an enlightening trip to Italy. Specialising originally in Italian wines from artisan family producers, they also offer a comprehensive selection of Swiss wines. Indeed, I will always be grateful to them for allowing me the opportunity to taste a rare, white Merlot from Ticino whilst researching an essay on the variety that I had to write as part of my WSET Diploma studies. What better way to start a tasting of cooler climate northern Italian white wines than with northern Italy’s coolest white of the moment, Prosecco? To escape the economic hardships of post-war Italy, newly married Vincenzo Toffoli emigrated to England in the early 1950s where he worked for twelve years and where his son Santi was born. Upon his return to Italy he purchased a small farm in Refrontolo, his wife’s hometown, 45km north of Venice and 10km from Conegliano. In 1964 he founded the estate that bears his name, and which today is run by his three sons. A light and bright pear, stone fruit and white blossom nose; off dry with a soft mousse, balanced by a hint of pithy bitterness with a savoury, mineral edge. Elegant and refined, with a pleasingly long finish. Castelfeder was founded as recently as 1970 by Alfons Giovanett. Alfons’ son, Günther, took over upon his retirement in 1989 and today runs the winery alongside his own children, Ines and Ivan. Alto-Adige is the northernmost region of Italy. Lying in the Alps, it is famed for its steep vineyards some of which sit at altitudes of up to 3,600 metres. This positioning is also responsible for the region’s climate: its cold winters and hot summers, along with its substantial diurnal temperature variation, are conducive to the cultivation of a wide variety of different grape varieties and to the production of some very high quality wines. Once a part of Germany, this history is still reflected in much of Alto-Adige’s culture. Many of the grape varieties grown here are Germanic in origin and the wines often display a focus and purity that is more typically Teutonic than Italian. Indeed, Kerner is a crossing of the German grape varieties Trollinger and Reisling. Although it displays flavours similar to those of Riesling, it is fuller bodied, more aromatic and has lower acidity. It is a more tolerant, easier to grow variety than Riesling and it can give much higher yields. Savoury, nutty and citrussy on the nose with a white blossom note. Dry with a saline minerality and fresh acidity, lovely lemon zest and pith citrus fruit, slightly extracted and with a streak of tropical fruit richness. A beautiful, long, rich and drying finish. Complex and distinctive. Coincidentally also established in 1970, Azienda Agricola Abbona’s first vineyard was planted over sixty years ago by Celso Abbona, although it was his son, Marziano, who established the winery and built upon the founding work of his father. Although only a relatively small producer, Abbona has an excellent reputation for the quality of its roster of big name Piemontese wines. Despite being different in character, Arneis shares many similarities with the northern Rhône variety Viognier. In Piemonte, white wines had always taken a back seat to reds and were usually relegated to less desireable vineyard sites. 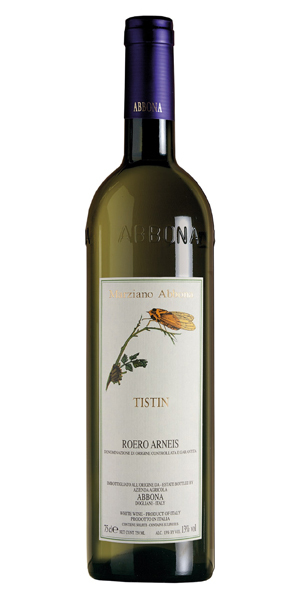 Arneis was sometimes planted amongst Nebbiolo vines as its sweetly scented grapes distracted hungry pests away from its more valuable red neighbours. This “field blend” also benefitted the finished wines as a small percentage of Arneis helped to soften Nebbiolo’s firm tannins, mirroring the Syrah-Viognier relationship found in Côte Rotie. By the late 1960s, in the face of increasing focus upon Nebbiolo, plantings of this historic variety had dwindled to just a few hectares owned by two producers. The tireless work of Alfredo Currado of the Vietti family, one of these two producers, is primarily responsible for the reversal of Arneis’ fortunes. Although low yielding and not always easy to grow, plantings of Arneis have increased substantially in Roero and Langhe and a little is now being grown further afield in California, Oregon, Australia and New Zealand. A delicate floral, white fruit and slightly chalky nose with a hint of toasted hazelnut that was almost cocoa-like. The palate, too, was dry, fresh, floral and white fruited, again with that faint hint of hazelnut/cocoa bitterness and a lovely minerality. The rich yet drying finish had a fine length and there was a touch of peppery spritz to the ending. Albana di Romagna Secco was the first white wine in Italy to be granted the prestigious D.O.C.G. status back in 1987 and, although many other wines were arguably more deserving of this honour, there can be no question that this is a wine worthy of your attention. Introduced by the Romans, Albana is grown in Romagna primarily around the town of Bertinoro. Folklore has it that in 435 A.D. Galla Placidia, the beautiful daughter of Emperor Theodosius, rode into town on her white mare and the hospitable villagers offered her the local, sweet Alabana wine in a humble terracotta cup. Her response, “Non di così rozzo calice sei degno, o vino, ma di berti in oro” (Not from so rough a chalice should you be drunk, o wine, but drunk from gold) gave rise to the name of the village. Much more likely, but far less romantic, is the suggestion that the name of the town is derived from an ancient brotherhood of Briton monks (the Britannorum) who were permitted to settle in the area by Otto III in around 1000 A.D.. However, the people of Bertinoro hold dear the exclamation of Galla Placidia and to this day they pride themselves on their reputation for offering hospitality to visitors passing through the town. Deep golden in colour; honeyed, nutty and gently smokey on the nose, complex and unusual. The palate was dry but rich and full bodied, displaying honey sweetness rather than any type of fruit character. Extracted, with talc-fine, drying tannins and a long, long ripe finish that had just a hint of warmth from the alcohol. Intriguing and enjoyable. After the Second World War, the mechanisation of Italian agriculture and governmental land reforms that redistributed vacant land enabled the formation of farming co-operatives such as Cantina Sociale Sampietrana. Based in San Pietro Vernotico, between the provinces of Brindisi and Lecce in Puglia, Cantina Sampietrana was founded in 1952 with just 8,000 square metres of land located right next to Italy’s main north-south railway line. In the proceeding sixty years, Cantina Sampietrana has preserved and promoted its regional traditions whilst allowing smaller growers to pool their resources to take advantage of the opportunities offered by an international marketplace. Today, the vineyard holdings of its members is spread over 190 hectares. Although perfectly maintained since its construction, the original winery saw a €2 million upgrade in 2002 and the new hi-tech, eco-friendly facilities boosted its ability to produce high quality wines. Rich and ripe, with dried fruits (raisins, figs and prunes) and peppery spice on the nose; soft, sweet and inviting. Spicy, with blue fruits and dried fig flavours on the palate, balanced by soft tannins, moderate acidity and a lick of oak. More Zinfandel-esque than many a Primitivo I’ve tried previously, but much of my experience of this variety dates back to a time before the genetic link to California’s adopted grape was played upon quite so heavily. A touch earthy, but easy and enjoyable to drink. Corrado Capece Minutolo, the last surviving heir of an aristocratic Napolitano family, followed his heart and left the city to return to his historic seat near Trani to continue the work of his forebears. He oversaw a complete replanting of the vineyards, renovated the nineteenth century cellars and introduced the latest equipment into the winery with the aim of producing and bottling top quality wines rather than selling off the estate’s produce in bulk as had happened until then. Although not averse to international varieties, Corrado decided to focus upon the potential and the peculiarities of indigenous southern Italian grapes to win fans both at home and abroad. Aglianico is an ancient and noble grape variety, long cultivated in Puglia and across the south, and was a logical choice for Villa Schinosa to concentrate on. A dry, dark berry fruit and cedar scented nose with elegant earthy notes. Dry, too, on the palate with firm acidity and moderate tannins. Delightful sweet, ripe berry fruit with a smokey, toasty element, a touch of savoury earthiness and a dusting of black pepper and clove spice to round things off. Developed and elegant; long and fresh. Situated in Corato on the Murge Plateau, Cantine Carpentiere sits in a spectacular and historic area of Puglia. Less than 2km from the UNESCO World Heritage Site of Castel del Monte and surrounded by an impressive array of flora and fauna, it is these oak forests and their foxes and wolves that lead to the development of the region’s unique jazzi. Built as a temporary shelter for transhumant livestock and their herders, a jazzo is a dry stone enclosure that is notable for its pietre dei lupi or paralupi, a crowning frieze of horizontally mounted stone slabs that denied access to predators. The name Pietra dei Lupi (“Stone Of Wolves”) and the label’s illustration of several of them in situ along the wall of a jazzo that still overlooks the vineyard are links to an unbroken history of habitation in the region that dates back to the Stone Age. Initially quite funky/farmyardy on the nose, but this receded to display black fruits with cocoa/dark chocolate aromas and a hint of coffee underneath. The nose was actually quite Bordeaux-like in the end. 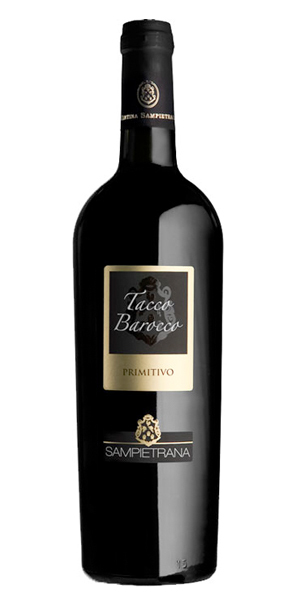 Dry, with tannins to the fore, moderate to firm acidity and rich dark fruit. Long and drying out a little, but lovely nonetheless. Another wine from the impressive Cantina Sociale Sampietrana but this time from its Le Selezioni range, a step up from the already very good Tacco Barocco wine tasted a little earlier. It didn’t disappoint. A fresh, lean and darkly fruited nose with a hint of blueberry; just a whiff of volatility. Dry, rich and full bodied, firmly acidic and reasonably tannic, all balanced by beautifully elegant blue and black fruits, peppery spice and the complexity that only fifty year old vines can bring to a wine. The long, fragrant and fruity finish had a beguiling leanness perfectly suited to a fine meal. An excellent, and excellent value, bottle of wine. I had expected and I encountered a refreshing raciness from the evening’s white wines, but the pleasant surprise was quite how fresh and lively the reds were – even those from the warmest, most southerly regions. In true Italian style, these southern sun worshippers were just as cool as their paler northern cousins. I’d like to thank Robert and all at Reserve for another great evening of entertainment, education and most enjoyable wine.